Today was our final lesson of the term and we ran around the school hall 6 times. 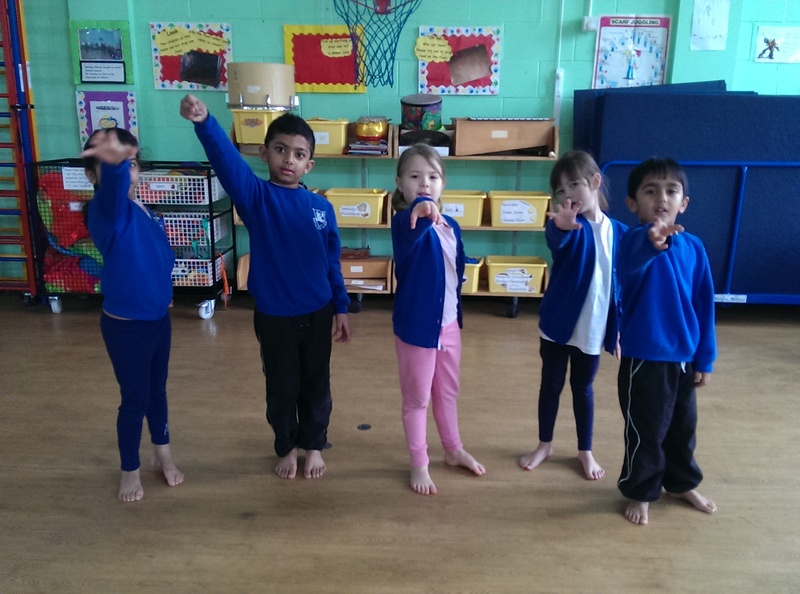 This might sound like a strange thing to do in a dance lesson, but running around the room has become a regular occurrence at Balfour Infants School and Greenvale Infants School recently. I’ve been adding extra cardio into my classes in a bid to explore the participants’ views on exercise. I have been surprised by how excited they’ve been by it all! I laid numbers out on the floor (in the shape of a gigantic clock, or as close as I could get it!). We then did a circle warm up in the middle of the clock (everyone took turns to lead a movement that looked like the Alien of the Week and would help warm us up). 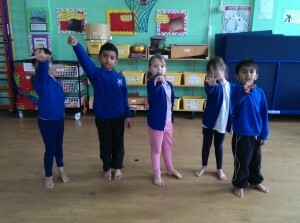 Then we walked, marched, galloped, skipped and ran our way to each number in turn (clockwise, was one of our key words). Once we reached number 12 we started the main section of cardio and ran around the entire clock. On the first week we only ran around it once, the second week twice, the third week three times and so on until this week we ran around the clock 6 times in a row and then the children each ran to pick up a number and bring it to me as well. They are only Year 1 and 2 so that is quite a feat! She was surprised and I wondered why? I think giving the dancers the opportunity to do this has allowed them to see that they can run around the hall this many times. They know it’s good to exercise, they’re taught that in school, but we now need to find ways to make exercise fun, to make it a habit and to make it something they want to do. As I’ve seen in this class and as we’ve read in many articles and studies, it’s really important to start healthy habits early and I adding extra cardio to class has been a really good start. It’s not only good for the children, but as I’ve been doing this three times a week I was surprised to discover that it got a little easier for me too. I’m now thinking up my next exciting plan to increase the amount of cardio for next term’s Creative Dance Clubs.